THE Olongapo City Fiesta 2011 Executive Committee in cooperation with the Cultural Center of the Philippines and the Cinemalaya Foundation Inc. presents Cinemalaya sa Gapo on November 27-30, 2011 at the Olongapo City Convention Center. Cinemalaya sa Gapo is one of the activities slated in the Olongapo City Fiesta celebration. Initiated by Olongapo City Councilor Bugsy Gordon Delos Reyes, Chairman of the Executive Committee of the Olongapo City Fiesta, Cinemalaya sa Gapo is also aimed at raising funds to improve the condition of the Barangay Health Centers in the City. “We see Cinemalaya as one of the more appropriate avenues to carry out our vision. We have begun our efforts in encouraging and exposing Olongapenos to the arts, particularly by sending a delegation during the opening of the recent Cinemalaya Film Festival at the Cultural Center of the Philippines, “Councilor Delos Reyes said. 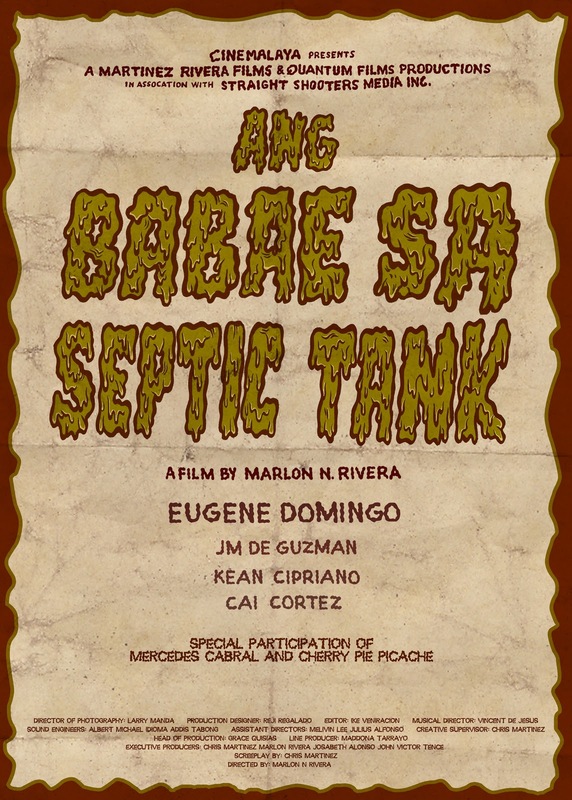 A selection of films from the 2011 Cinemalaya Independent Film Festival and Competition will be offered in Cinemalaya sa Gapo, including the Best Film awardees Ang Babae sa Septic Tank (New Breed Section), Bisperas by Jeffrey Jeturian (Directors Showcase) and Walang Katapusang Kwarto (Short Feature Section). Other films to be screened are Niño by Loy Arcenas (Special Jury Prize, New Breed Section) which won the top prize in the 2011 Busan International Film Festival, Hanapbuhay by Henry Frejas (Special Jury Prize, Short Feature), Patikul by Joel Lamangan, Isda by Adolfo Alix Jr, Nono by Milo Tolentino, Niño Bonito by Milo Tolentino, Busong by Auraeus Solito, Debut by Pam Reyes, Ang Sayaw ng Dalawang Kaliwang Paa by Alvin Yapan, Every Other Time by Gino Santos, Boundary by Benito Bautista, Ligo na U, Lapit na Me by Erick Salud, Amok by Lawrence Fajardo, Hazard by Mikhail Red, and Immanuel by Gabriel Puyat. Cinemalaya filmmakers and actors will be on hand to discuss their films with the audience. “The CCP and Cinemalaya Foundation have always worked together in the past to bring Cinemalaya to the regions. This is part of our outreach program aimed at promoting Philippine independent cinema to as many Filipinos as possible by showcasing films that speak of the unique Philippine culture, experience and values which one would not normally see in the mainstream cinema. We therefore look at this project as educational in thrust.”, Cinemalaya Festival Director Nestor O. Jardin said. Mostly students from various high schools and colleges of Olongapo City and nearby towns as well as the general public are expected to attend Cinemalaya sa Gapo. 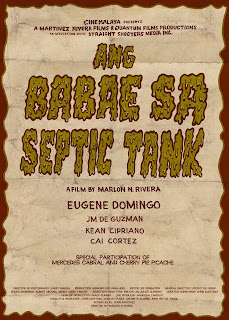 Cinemalaya sa Gapo will open with an opening ceremony at 6 pm on November 26 followed by a gala screening of Ang Babae sa Septic Tank, the popular Eugene Domingo starrer that topped the New Breed Section of 2011 Cinemalaya. November 27-Patikul and Niño Bonito at 10:00am; Isda and Hanapbuhay at 12:45pm; Ang Babae sa Septic Tank and Hanapbuhay at 3:30pm; Nono and Niño Bonito at 6:15pm and Bisperas and Immanuel at 8:30PM. November 28-Ang Babae sa Septic Tank and Hanapbuhay at 10:00am, Busong and Debut at 12:45pm, Patikul and Niño Bonito at 3:30 pm, Ang Sayaw ng Dalawang Kaliwang Paa and Every Other Time at 6:15pm and Isda and Hanapbuhay at 9:00pm. November 29-Busong and Debut at 10:00am, Niño and Debut at 12:45 pm, Boundary and Hazard at 3:30pm, Ligo na U, Lapit na Me and Walang Katapusang Kwarto at 6:15pm, Ang Sayaw ng Dalawang Kaliwang Paa and Every Other Time at 9:00pm. November 30-Nono and Niño Bonito at 10:00am, Bisperas and Immanuel at 12:45pm, Amok and Hazard at 3:30pm, Niño and Debut at 6:15pm, Ligo na U, Lapit na Me and Walang Katapusang Kwarto at 9:00pm. Tickets are at P100 (regular price) and P80 (student price).